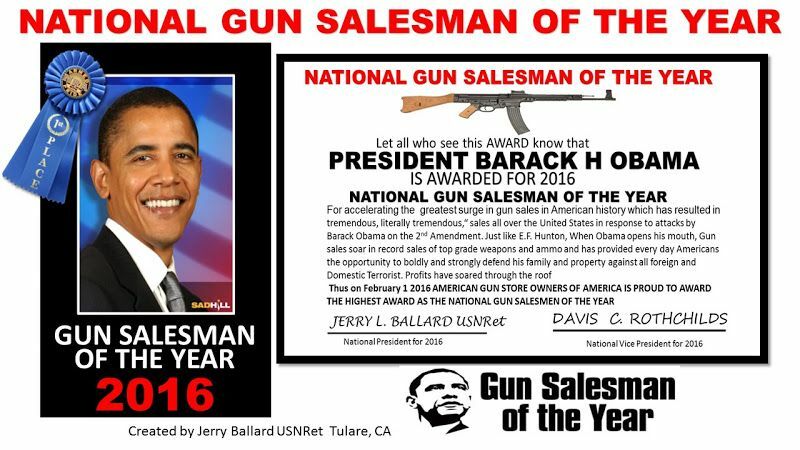 NRA To Crown Obama "Gun Salesman Of The Year"
Since Barack Obama became President gun sales in the United States have skyrocketed. Late last year, Fox News reported that since Obama took office in January of 2009, Americans have purchased over 100 million guns. Gun production in this country is up by 140%. Permit applications have increased 270 percent for women and 156 percent for men since 2007. On Black Friday last year, the number of background checks performed by the FBI was 185,345. This particular statistic means that people are not only buying guns for home protection but are carrying them in public for personal protection. All these statistics have led gun manufacturers to join with the National Rifle Association (NRA) in creating an award for President Obama and his administration. Because of his anti-gun rhetoric and public fear that Obama will one day make guns illegal, furthered by Democrats in the House and Senate and by Democrat candidate, Hillary Clinton, sales are through the roof. According to Wayne LaPierre, Executive Vice President of the NRA, the NRA and gun manufacturers around the world will present the President with their new “Gun Salesman Of The Year Award” – if they can get him to attend the ceremony. Word from the White House is that while the President always enjoys praise and accolades – relishes them, in fact – this particular award somehow doesn’t sit right with him. 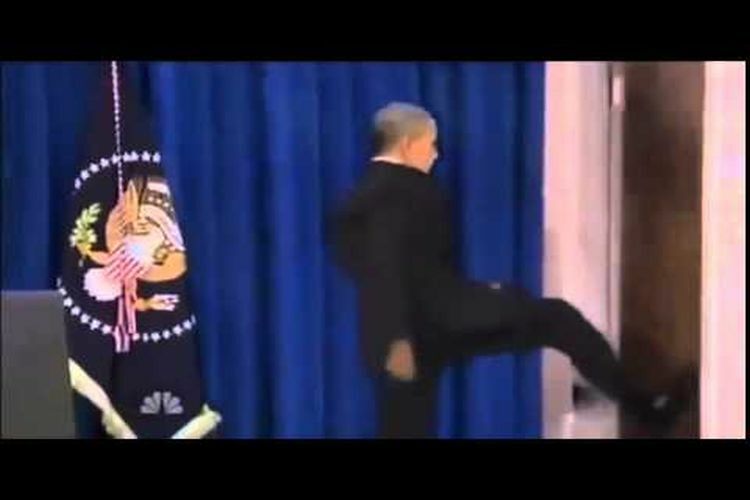 It is rumored that after hearing about the award, the President was so angry he kicked open his office door and walked out. Speaking to the members of the White House Press Corps, Press Secretary Josh Earnest explained the Obama’s position on it. The President himself was sulking pouting resting after a difficult round of golf and was not available for comment.